Ken Levine, Creative Director and Co-founder of Irrational Games, has been pretty open about his respect and anticipation for the PlayStation Vita. He seems to like the way the hardware's been constructed, and feels it's got a lot of potential to deliver really strong gaming experiences. In speaking during an interview with PSM3, Levine explained that the new portable from Sony is an interesting device that doesn't compromise gaming. "It's a really interesting platform because, as a gamer, it's the first platform that really sort of gives of everything. It's the first time I can play things like shooters on an aeroplane; and I don't like feeling I'm playing something that's compromised in any way." Levine announced during Sony's press conference at last year's E3 that the Irrational Games studio would be working on a brand new BioShock title for the PS Vita. 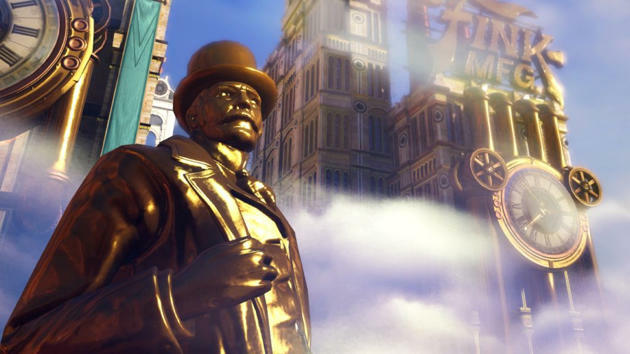 Levine explained last fall that the portable trip into the BioShock universe would stand on its own, independent of the voyages into Rapture and Columbia. "I think for us, the idea we have is a really good expression on a platform like that [Vita]. It's a different goal. And it has to sort of have its own voice in the franchise. If it just feels like a quieter voice in the franchise, I don't think that works. For us." It's obvious that both Levine and Irrational like what Sony's created with the PS Vita. It is, supposedly, a system capable of delivering a genuine, console quality experience to gamers. If that's the case, then we can probably expect even more developers to step up and create top-tier games for the device. I know that I'd love to see a title as great as the original BioShock hit the new portable. The PS Vita will hit North American retail shelves on February 22nd. Will you be snagging one?